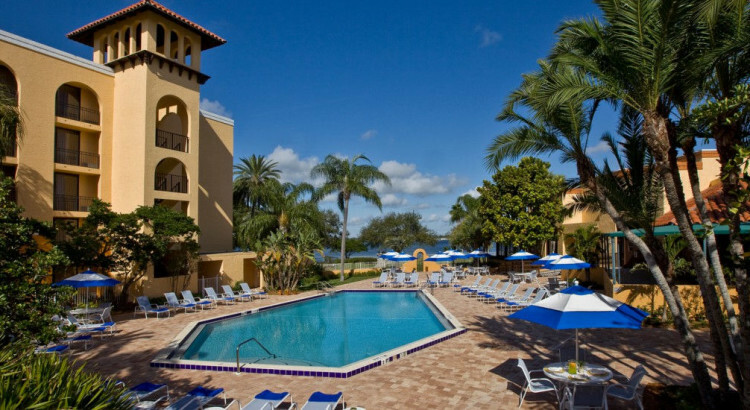 With lush landscaping, Mediterranean-style fountains and a Manatee River backdrop, Courtyard Bradenton Sarasota/Riverfront makes it easy to enjoy the Bradenton Blues Festival. Located on the Riverwalk, an award-winning, 1.5-mile public park, the hotel is within a five-minute stroll to the Bradenton Blues Festival site. After the festival, rest in our well-appointed guest rooms and suites with private balconies and modern amenities, including free Wi-Fi, gym, business center, on-site Bistro serving Starbucks coffee, and more. Call the Courtyard Riverfront and ask for Bradenton Blues Festival rates.